What Makes for a True Luxury Home? If you’re left awestruck by the design and function of a home, chances are you’re viewing a luxury dwelling—these charming developments often possess features that are hard to fathom, let alone come by in the current market. Although it’s hard to believe that these features exist, it’s not because they’re outlandish in any way. In fact, luxury homes offer the perfect amount of form and function. Whether we’re talking about luxury in terms of clothing or real estate, the first thing that comes to mind is often cost. Luxury goods—especially homes—are generally placed at the higher end of the market. What makes a luxury home high value, though? It starts with construction and echoes throughout the entire home. When luxury homes are built, no expense is spared—everything is made with precious materials. In addition to utilizing the best materials, the way these materials work together to create both structure and design is unparalleled. Aesthetically, luxury homes are unmatched. Their high-quality materials are beautiful on their own, but when they are used in a way that’s highly design-oriented and visually pleasing, they become remarkable. 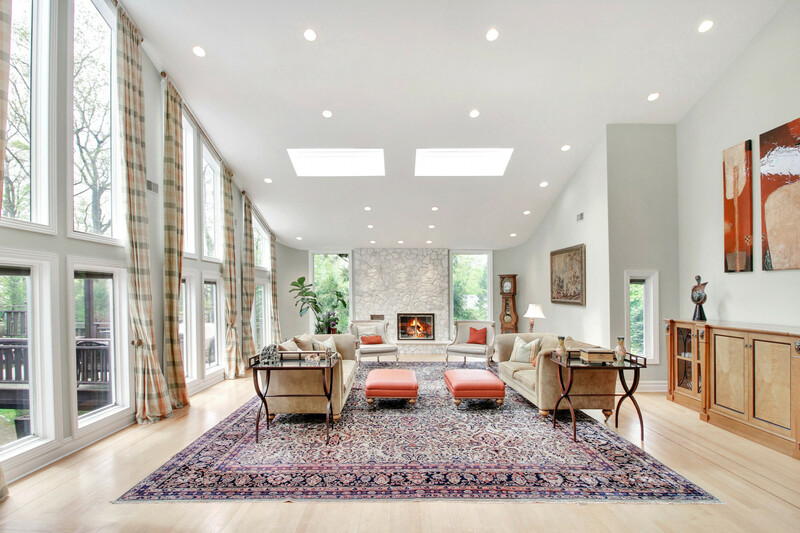 Many luxury homes also feature stunning, large windows that let in natural light. Not only do they increase the home’s beauty and make it feel more open, but they also provide health benefits. Interestingly enough, natural light can help residents feel more comfortable and productive. In addition to the wonderful feeling of the sun, if your home is filled with more natural light, you’ll save energy. These conditions create a unique and timeless home that can only be described with one word. Yep, you guessed it—luxury. Of course, there are imitations of these rare homes on the market, but their materials are less expensive and their designs do not compare overall. True luxury is a work of art that can’t be replicated. Nostalgia is one of the strongest human experiences—whether you’re longing after your grandmother’s famous pie or you’re lusting for your younger, more carefree years. Luckily, a luxury home can help connect you to the past through its classic design and influence. The best part, though? Luxury homes help you stay rooted in history without holding you back. To bridge a home’s traditional features and modern styles, luxury homeowners can adorn their living spaces with more modern furniture, if they so choose. When done tastefully, homeowners can design a home with a bright future by building on elements from the past. 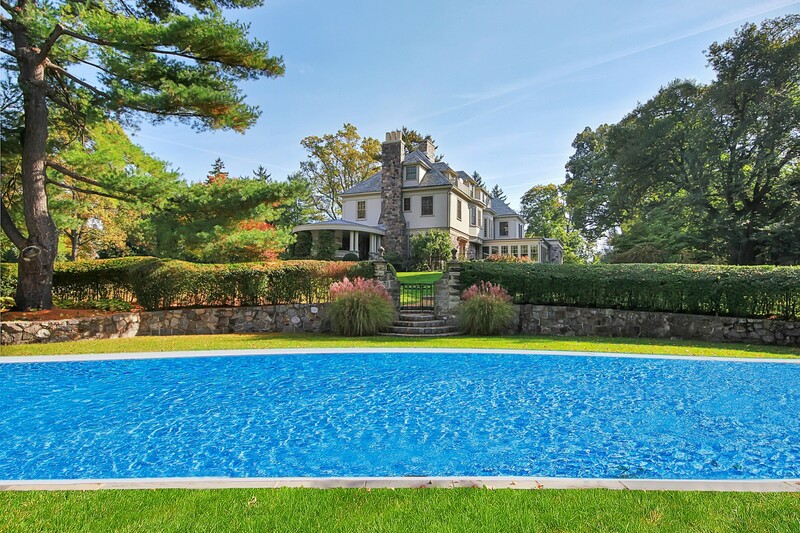 In addition to stylistic heritages, many luxury homes are in prime locations that have rich histories. If your luxury home is by a beach, you’ll likely live where others have traveled for generations. If your luxury home is near a city, its design will be rooted in the history of the area. While enjoying these timeless features, the home’s physical location will allow you to be close to the city as it expands—affording you the beauty of history and allowing you to experience the latest and greatest your town has to offer. Luxury homes are superior in terms of materials and design, but their allure goes much further than that. A residence with quality, refinement and aesthetics ultimately affords many benefits. For example, luxury homes’ master suites are often large—sometimes occupying an entire wing of the home. This space opens up many opportunities, all of which are customizable. If you have a family, more often than not, you’ll find your children getting ready in your bathroom, or, if they’re older, borrowing your clothes. For these individuals, the master bedroom can be used to accommodate—albeit temporarily—many people and give everyone the space they need to function. On the other hand, if you and your partner are the only occupants of your home, you might want to use the extra space to create a sitting area for the two of you that can be used for everything from reading books before bed to drinking coffee in the morning. In addition to large spaces, these homes also include luxe amenities. If you’ve ever struggled to get yourself to the gym, a luxury home might absolve that issue, as many of them have home gyms and other amazing amenities—walk-in showers, anyone? The bones of a luxury home are a critical element, but what they offer in terms of lifestyle is equally—if not more—important. Many people seek out the aforementioned qualities of luxury, but they certainly do not define luxury for everyone. For example, one family might view an in-home bowling alley as a fun, luxurious feature, but to another family, the bowling alley might seem overdone or outdated. When it comes to defining a luxury home, it all comes down to you. What features do you value highly? What qualities speak to you in terms of design, function or both? After you’ve considered what you define as luxury, your real estate professional will be able to cater suggestions to your desires. Overall, this will allow you to see more desirable homes in less time—finding you the right home before someone else takes it off the market. So what will it be? Are you ready to experience everything your next home can offer? We’d love to hear from you—call (973.477.2220) or email us (Info@NJLRE.com) today.